OCT made simple as never before. All it must be done is to position the patient and press the START button to acquire examinations of both eyes. The device will make examination independently. 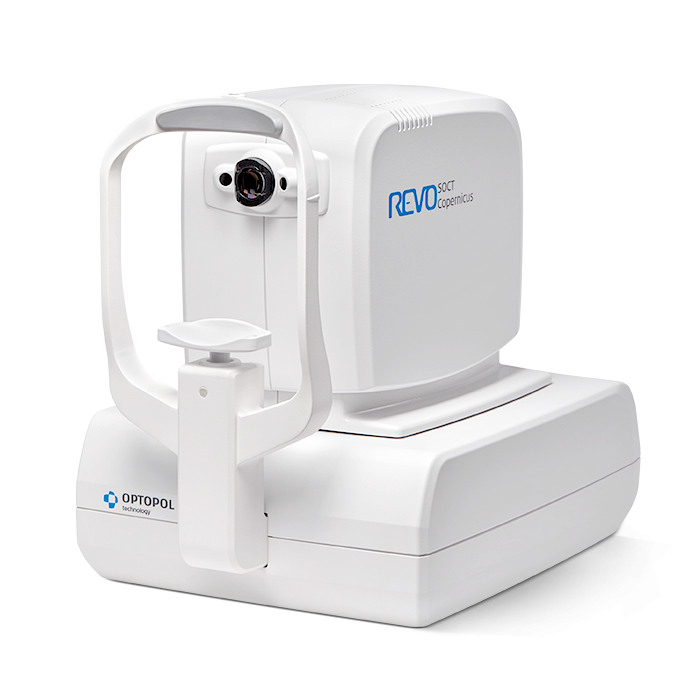 Small system footprint, various operator and patient positions allow to install SOCT Copernicus REVO even in the smallest examination room. Variety of review and analysis tool give the operator a choice of using it as a screening or as an advanced diagnostic device. The noise reduction technology provides the finest details proven to be important for early disease detection.